Looking back over the last eight months, we have seen major power outages hit the US eastern seaboard. Storms such as Hurricane Irma, which battered the Florida coastline, as well as the most recent storms that rocked Connecticut and New York last May have all wreaked havoc on business operations. 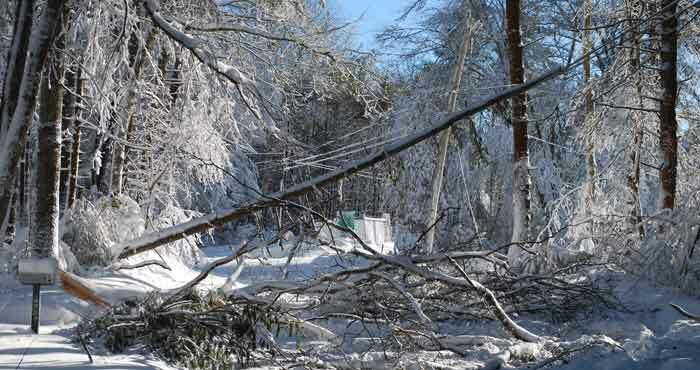 So far this year, Connecticut and New York have seen several storms causing customers across the region to lose power; for some, well over a week. Can your business survive a week-long outage? No one can predict when and where a storm will hit, but as we begin the 2018 hurricane season, disruptions can be expected. When you outsource disaster recovery services to a managed services provider (MSP), your business remains successfully operating in the event of disasters and security breaches. Click here to download our free white paper with answers to questions about outsourcing IT services to an MSP. Power related issues are not the only cause of business interruptions. Disruptions can come in the form of water damage, flooding, and downed trees. During the last storm we experienced, it was not a power issue that kept people from getting to their workplace but rather lack of physical egress from employees' homes to the office. For some, every route to the office was blocked by downed trees and road closures. No matter the size of your business, staying open for business is paramount to your bottom line. Imagine if you were down for a week or more. Are your existing customers going to stay with you? ...or look for immediate help from one of your competitors? Am I prepared if a disaster should happen to occur? Do I have a plan in place? Do my employees know what the plan is and how to implement it? Critical to the success of any business is a framework for keeping operations running during a disaster or unforeseen event. "Using Business Continuity Plans to Prepare for Disasters"
"Using Virtualization for Disaster Recovery"
Request a quote for our backup & disaster recovery services.